Build more strength without the risks and embrace the power of self-limiting exercises. In most gyms, it’s rare to find someone using perfect technique on every exercise. Yes, even you. It’s impossible to see ourselves on every rep and every set, and a mirror only shows you one angle. While I love heavy barbell exercises like deadlifts, bench presses, and Olympic lifts, if you do them wrong, you’ll hurt yourself—maybe not today or tomorrow, but eventually it’ll strike. Bad technique also goes beyond injuries: it kills performance. You’ll never lift the weight you can truly lift, and you’ll shortchange your muscle growth. You’ll use the wrong muscles, worsen your posture, and never achieve great results. But besides hiring a coach to inspect every single rep, how will you make sure you’re doing the right thing every time? Use an exercise that’s almost impossible to do wrong. How Do Self-Limiting Exercises Work? Self-limiting exercises rely on the correctness of your posture, movement, balance, and coordination; if something goes wrong, it’ll stop you. They also make brute strength useless. 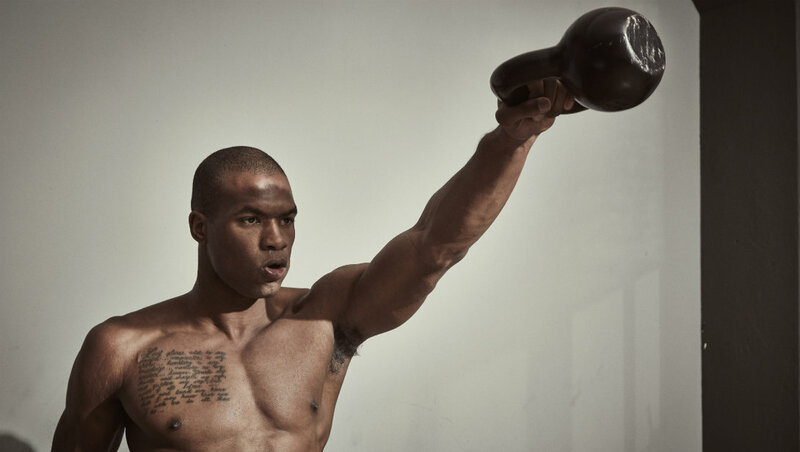 Maybe you can rip the gym off the ground, but if you get on one knee to do an exercise like the bottoms-up kettlebell press, you’ll sweat bullets because you’re one light breeze away from falling over. This requires a different kind of concentration. Instead of psyching yourself to set a new squat record, focus inward on your body’s movement and alignment. Are your knees buckling? Is your chest collapsing? Are you low enough? As you improve in these self-limiting exercises, your overall strength will increase: not only because you added more muscle (although you certainly will), but also because you unlocked your full potential. All the things that were previously holding you back—poor muscular control, balance, posture, and coordination—will disappear. Over time, you’ll build a stronger and healthier body. The farmer’s carry is a staple for massive core strength, grip strength, and conditioning. You’ll only go as far as your body will allow. Once your grip fatigues or your posture deteriorates, you’ll drop the weights. 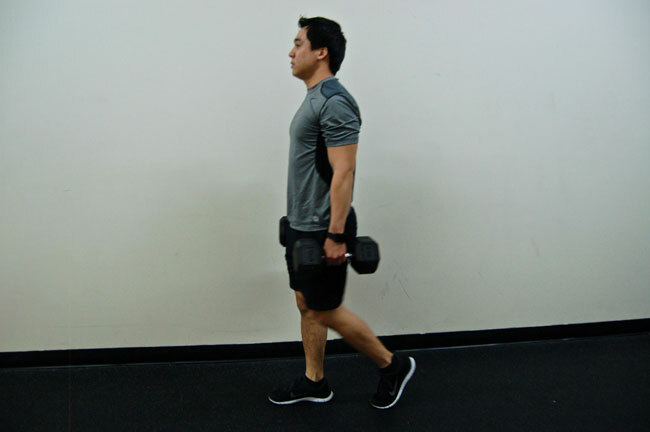 Grab two heavy dumbbells or kettlebells, stand tall with your chest up and shoulders back, and walk. Try using just one arm for extra core work or varying your grip. For example, wrap a towel around each dumbbell and hold the towels instead of the handles. This is a foolproof exercise to build stronger legs and bigger quads without the injury risks of a traditional back squat. 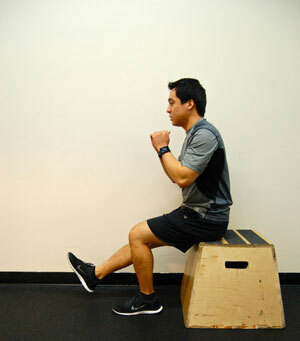 Stand facing away from a box or bench and lift up one leg. Sit down and stand back up while keeping that leg up. If it’s too hard, use a higher surface; if it’s too easy, use a lower surface and add weight. It’s hard to do wrong: you just sit down and stand up. If you lose balance, you’ll stop and put both legs down; if it’s too hard or heavy, you’ll get stuck at the bottom. Aside from targeting the lower body, single-leg squats build symmetrical strength because they train each leg independently. Imagine doing 10 single-leg squats with one leg but only 3 with the other (which I’ve seen): this limits your overall strength, creates compensations, and leads to injury. Waiter’s walks build tremendous core strength and shoulder stability. 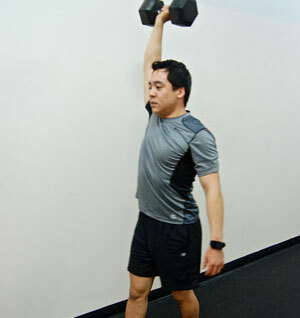 Grab a dumbbell or kettlebell and hold it over your head with your arm straight. Keep your shoulders down and back, tighten your core, and walk forward. Repeat on the other side. You must use good posture and core activation to carry the weight and walk. Once your technique fails, your arms will give out and the weight will crash on your head. (Kidding.) Actually, you’ll just lower the weight when your body tires.